I’m seeking a replacement power transformer for a 1931 Westinghouse WR-8 Columnaire grandfather clock-radio. The radio uses the tube line-up 24 24 27 24 24 27 45 45 80; any similar 9-tube radio with a similar tube line-up is likely also sufficient. 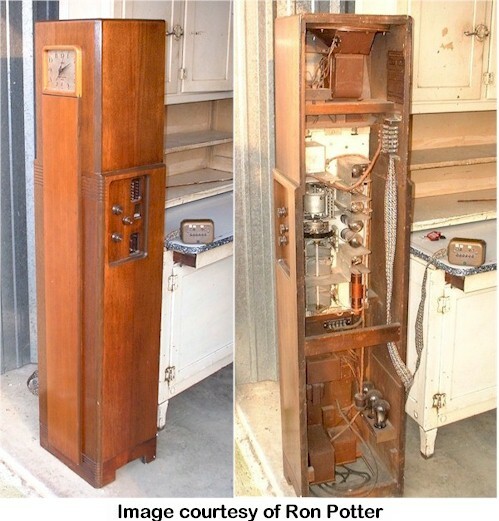 The Westinghouse radio uses the same chassis as the Radiola 80, shared by many models. Please reach out via the e-mail address on my About Me page if you have one of these components for sale! This entry was posted in Electronics, Projects, Radios and Tubes, Vintage and tagged columnaire, General Electric, graybar, majestic, radio, rca, stancor, transformer, vintage, Westinghouse, wr-8. Bookmark the permalink. Thanks for sharing this useful information with people.This blog is realy helpful for us.Thanks again.Keep sharing this type of information.